Take a deep mixing bowl and beat the eggs until foamy. Use an electric beater for the best results. Now stir in the melted butter and cold milk along with the chocolate chips. Adding chocolate chips is optional. You may skip that. Mix well and fold in the cake mix now. I have used the milk chocolate flavour. Now preheat the waffle maker for about a minute before pouring in 2 icecream scoops of it in the depression plates. Cover and cook for 2 minutes for each batch yeilding about 2 crispy and crunchy waffles. Serve them for a delicious breakfast with chocolate chips, fresh raspberries, banana slices and strawberry jam as i did or just about anything you love to serve them with. 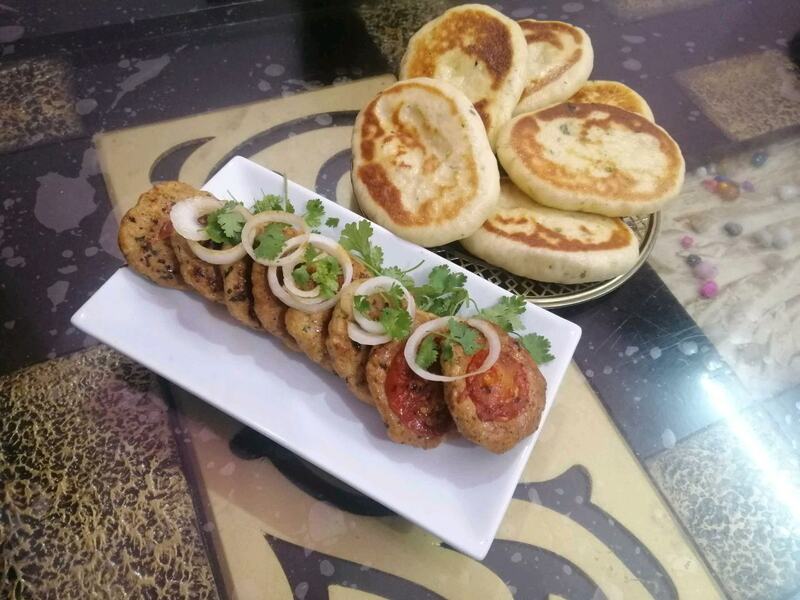 An interesting twist by me to the famous breakfast loved by many across the Globe. 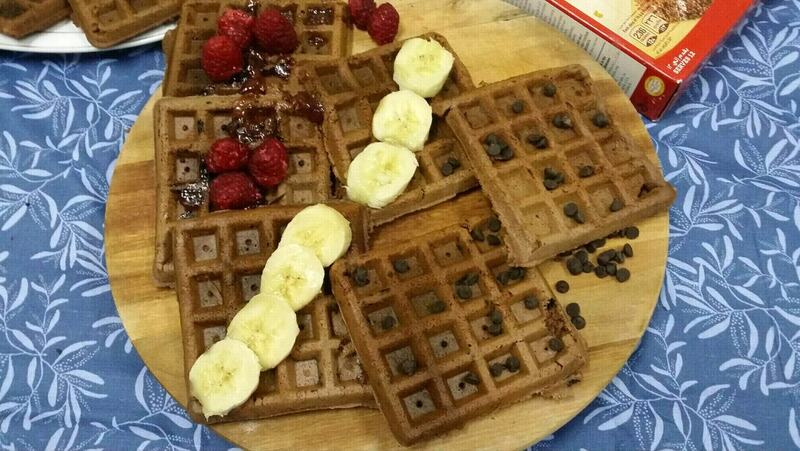 Cake mix has been put to use by me in these gorgeously done waffles as you all can see. Pretty much simple and absolutely hassle free too. With barely a few ingredients, i practically whipped up a good lot of them for an entire bunch of my apartment kiddos. This has been my vacation gift to them as they are enjoying their Summer break here. Everyone loved them so much that you just can't imagine how many kisses were planted on my cheeks by these lively tiny tots. I will surely make the next batch very soon and hope that you all do the same for your beautiful kids as well. And needless to add, even the adults would actually love to dig in, if given a chance. Happy Holidays KSA!